As the end of the year is coming, the redaction of Fubiz offers you to discover or to rediscover the most striking, surprising and refreshing artistic projects of the past twelve months in several fields such as photography, design or illustration. On the programme today, street-art, or when art invites itself in the daily life of inhabitants all around the world. Here is our selection of the best artworks created with paintbrushes, spray-paint and stencils, but also with video projections, giant fabrics or even origami. 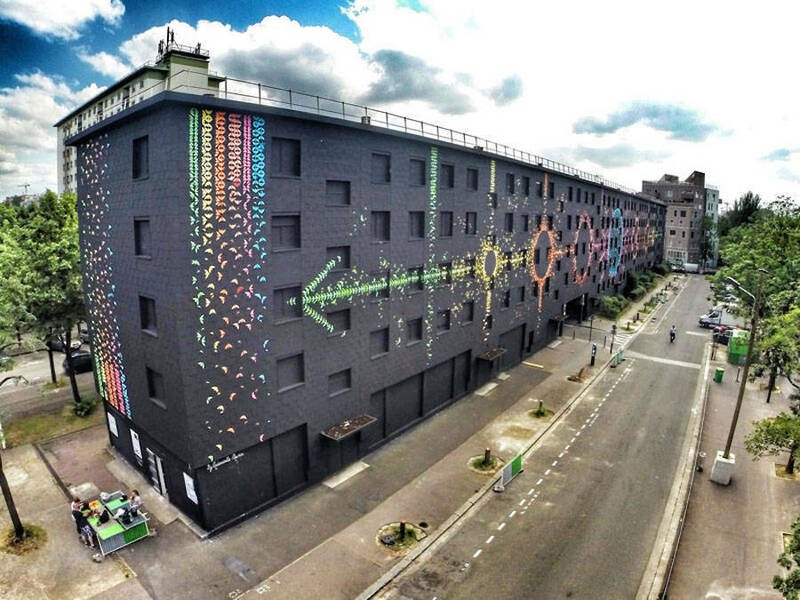 The French artist continues his Urban Safari project by making it cross the Atlantic Ocean. 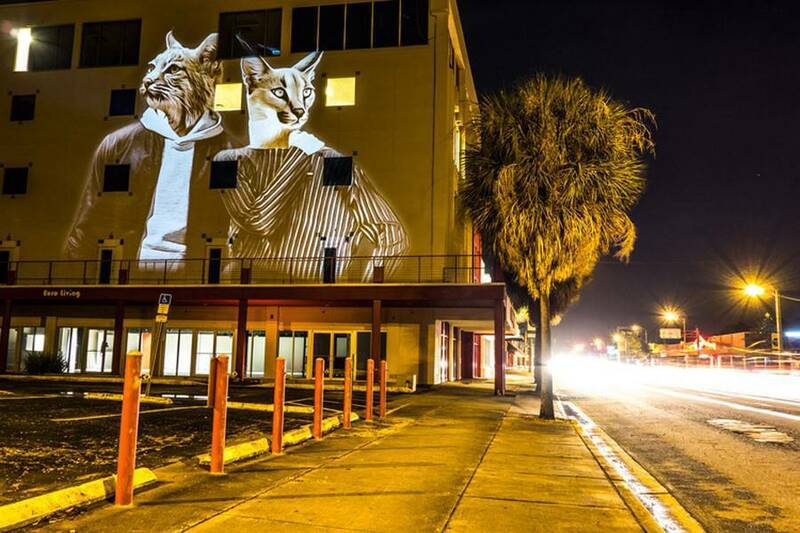 The animals dressed as humans invade the city of Orlando with style, projected on the walls. As part of the Rio Olympics, JR invested the streets of the city with giant black an white pictures of athletes. Giant installations for a poetic and surprising project. 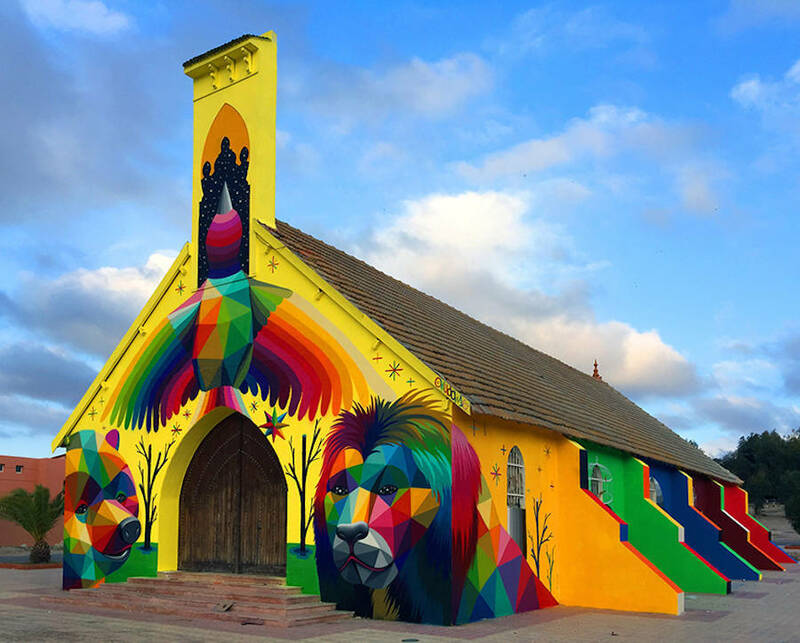 Animals with geometric and colorful features created by the Spanish artist Okuda San Miguel cover the walls of an abandoned church in Morocco. A superb idea titled 11 Mirages to the Freedom. 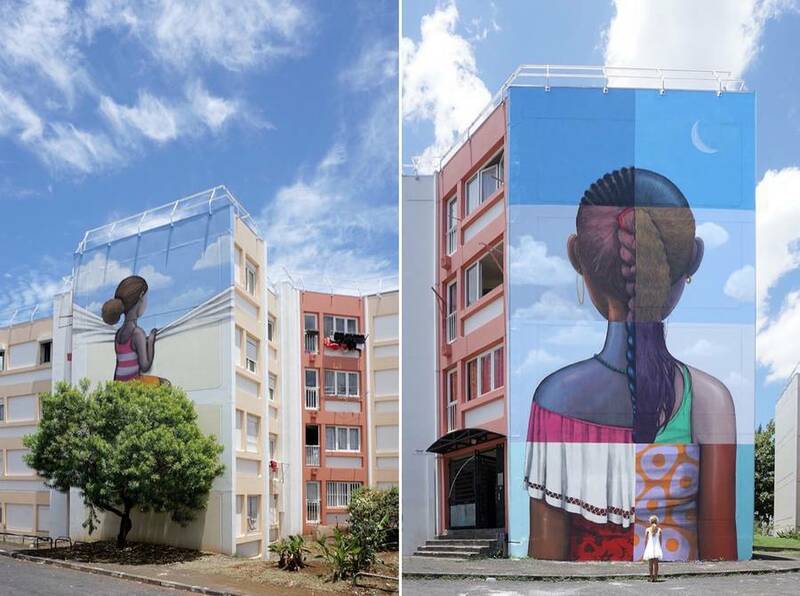 Gorg One, Seth Globepainter and Meo united to pay tribute to the cultural diversity of Reunion Island. 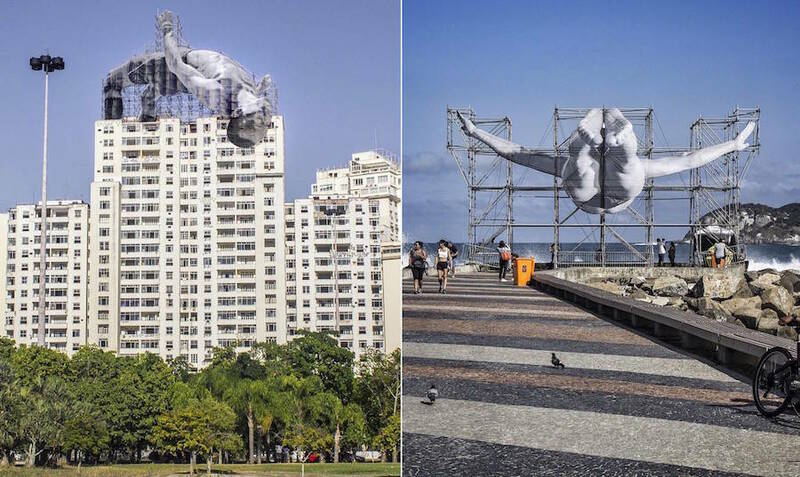 A poetic project in which giant portraits take over the urban space and in which the sky and the last floors of the buildings are just one. If some street artists prefer paint to cover the walls, Mademoiselle Maurice uses origami. 15,000 paper birds were necessary to the realization of this gigantic fresco in the 13th district of the French capital. Following part of our selection with the huge portraits of the Swedish artist Yash, spread all around Stockholm with a style close to a cartoon. How to confer more life to pretty normal facades? 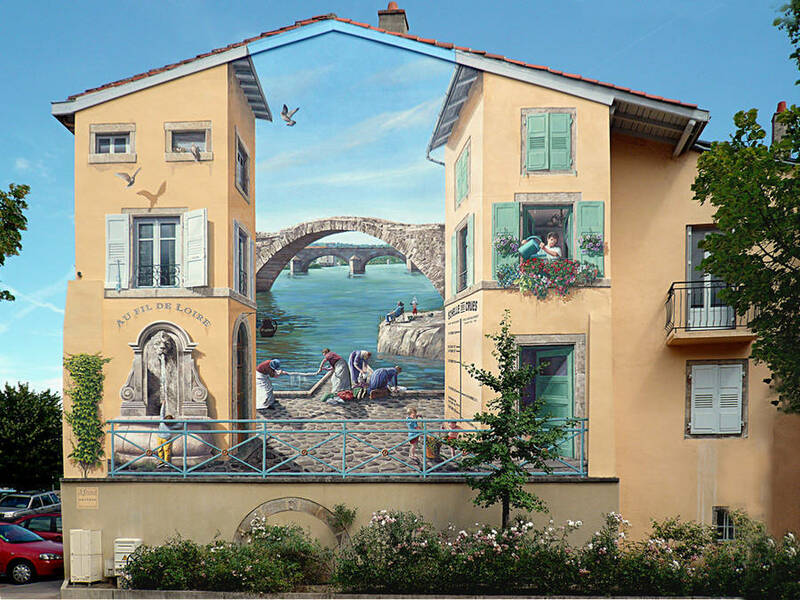 A great answer comes with the trompe-l’oeil of the French artist Patrick Commeçy, reinventing the urban space with realism and humor. Lost in the vastness of Sao Paulo, bystanders can find the frescos of the local artist Flavio Samelo. 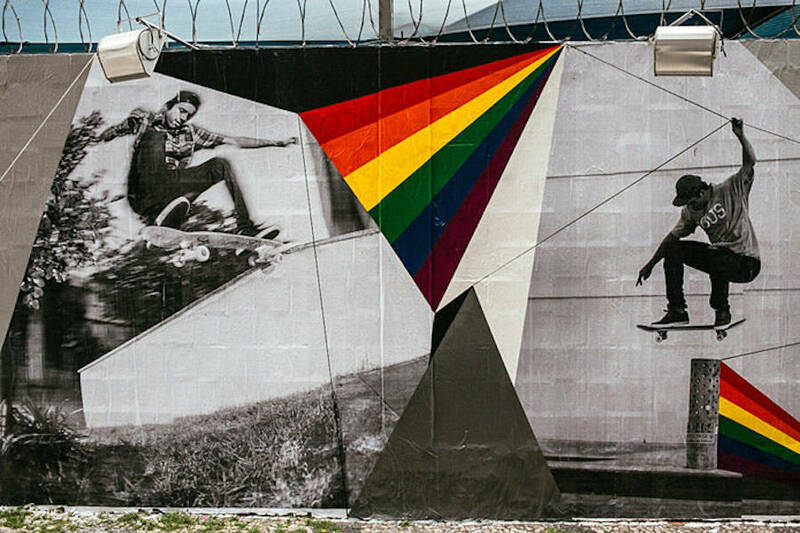 Or when skaters of the megalopolis cover the walls in black and white and also in color, in a project titled The Wallride. 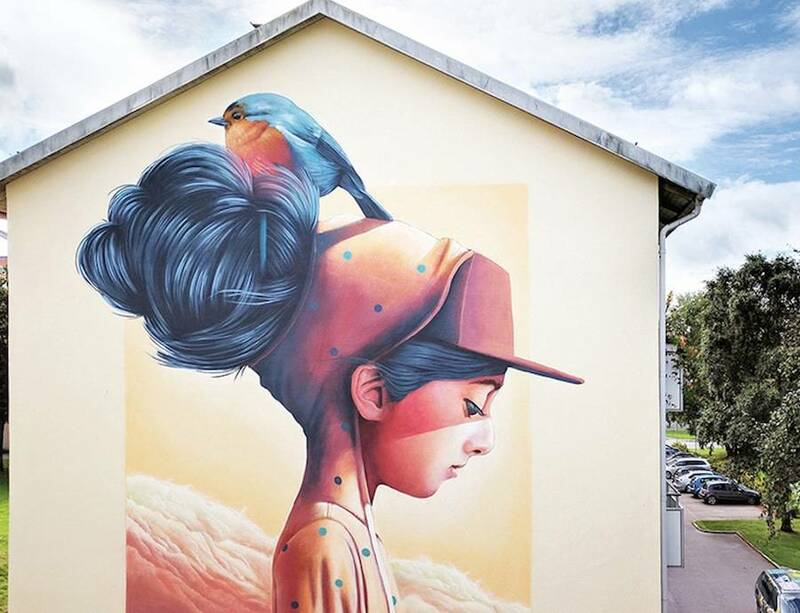 NEVERCREW, a Swiss duo of street artists, usually invade the streets of their mother country. This time, they exported their art in India, in New Delhi, as part of the St+Art India festival. 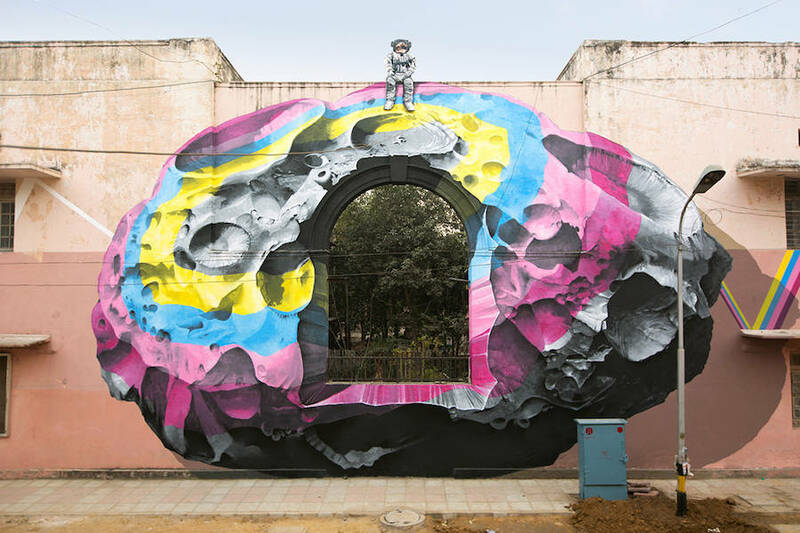 The result: colorful and surrealistic portraits of astronauts, including one perched on his asteroid. 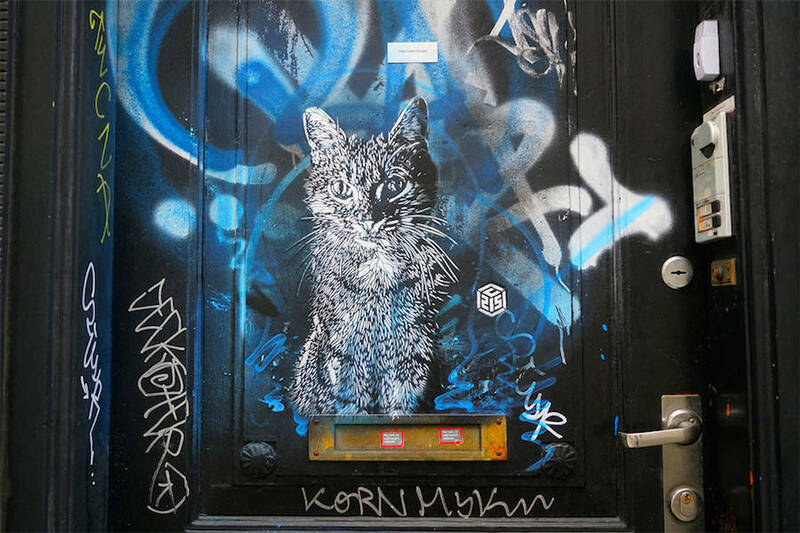 After the French artist C215 used his spray-paint cans and his stencils, felines invade the city, its doors and its walls with touching and amusing portraits.